Apartment Malinska 5290b is located in Vantačići. Guests staying at this apartment can use a fully equipped kitchen. The apartment features a satellite TV. The apartment also comes with a seating area and a bathroom. 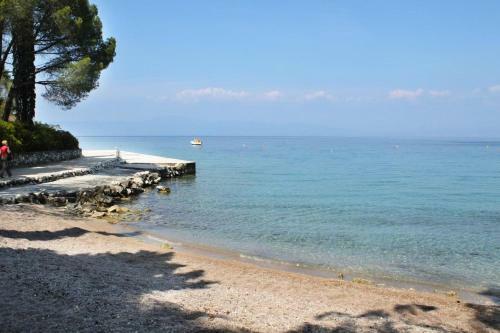 Baška is 19 miles from the apartment, while Krk is 8 miles from the property. When would you like to stay at Apartment Malinska 5290b? LOCATION AND ACCESS: Car access possible: Yes. The facility is situated in relatively quiet surroundings. The property is surrounded by greenery. House Rules Apartment Malinska 5290b takes special requests – add in the next step! Apartment Malinska 5290b accepts these cards and reserves the right to temporarily hold an amount prior to arrival. We need at least 5 reviews before we can calculate a review score. If you book and review your stay, you can help Apartment Malinska 5290b meet this goal. Owner of the place was very caring and polite.